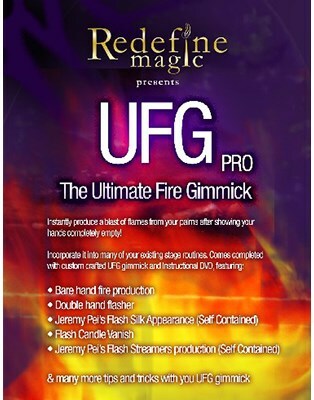 UFG Pro is, without a doubt, the ultimate fire gimmick! With Jeremy Pei's new and improved UFG Pro, you can instantly produce a blast of flames from your palms after showing your hands completely empty! UFG Pro require the use of Flash Cotton which is not included.